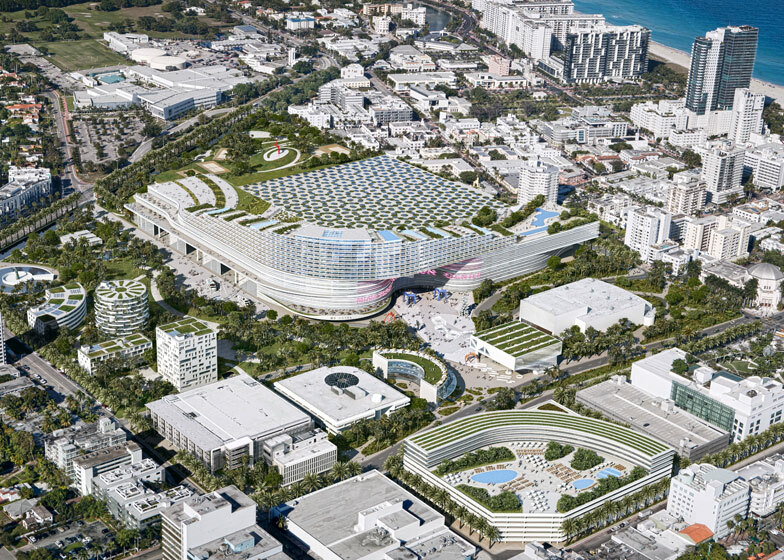 Dutch firm OMA's proposal to place a hotel on top of the Miami Beach Convention Center is going head-to-head with Danish firm BIG's plan for the site (+ slideshow + movie). 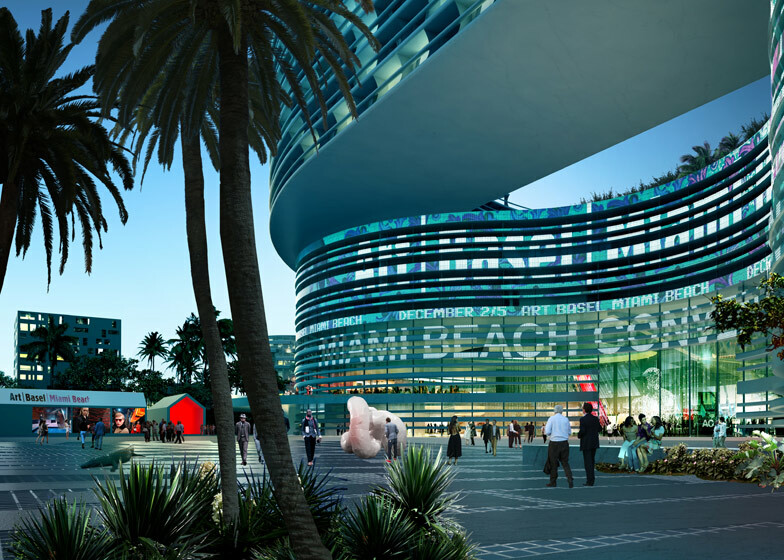 Both Rem Koolhaas' firm and rivals BIG are presenting their proposals to the Miami Beach City Commission today. 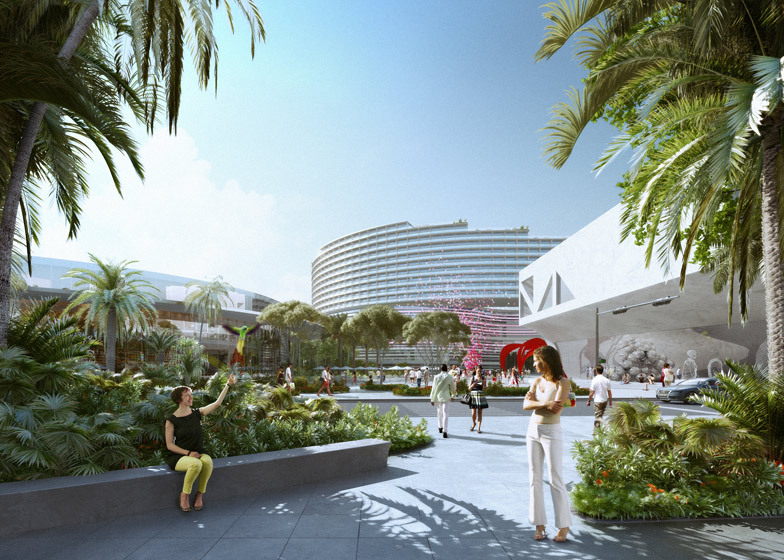 OMA is working alongside property developers Tishman and UIA, architects TVSdesign and landscape architects MVVA and Raymond Jungles, who together form a team called South Beach ACE. 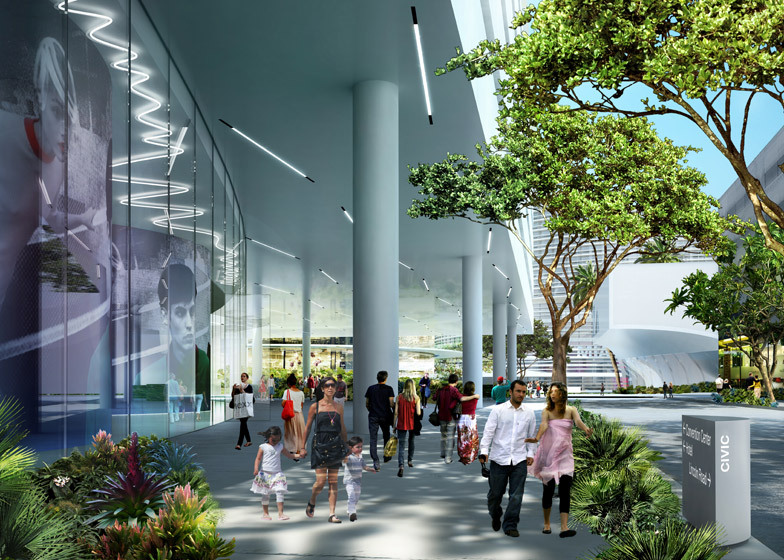 "The convention centre site is a total aberration in the urban fabric of the city," says Dan Tishman, chairman of Tishman, in the movie (above). "It just doesn't live up to the standards of Miami." 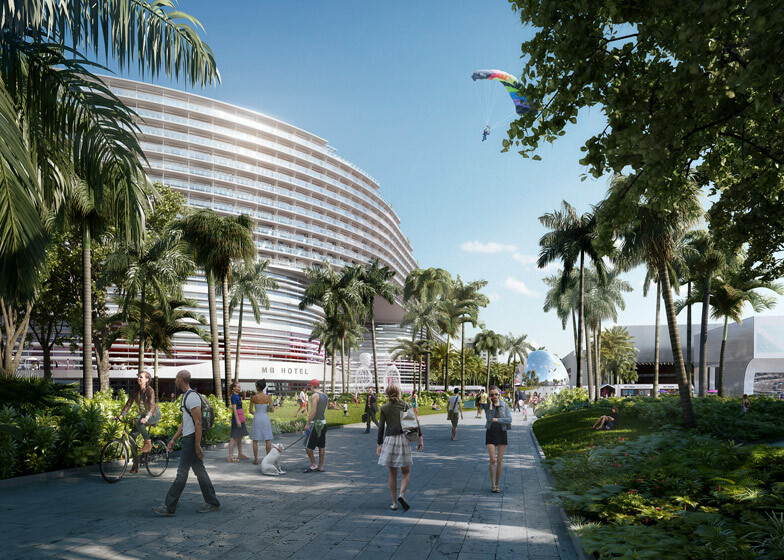 The team's vision includes building an 800-room hotel on top of the existing convention centre, which is the location for the annual Art Basel - Miami Beach and Design Miami trade fairs. 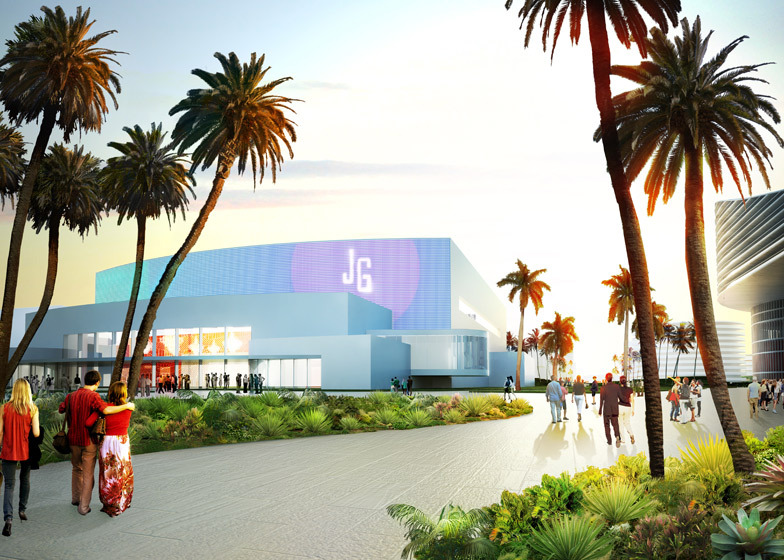 The convention centre would also be expanded and reorganised, rotating it 90 degrees and placing its main entrance to the south, where it would face a row of new and old buildings, including the renovated Jackie Gleason Theater. 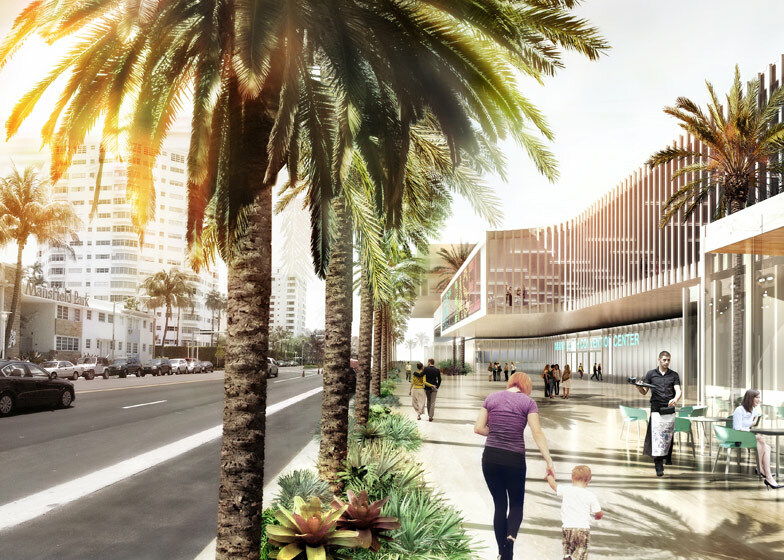 To the north would be a network of shaded green spaces and a large grassy hill covering a loading area for trucks and a parking garage. Other OMA projects we've reported on lately include the Shenzhen Stock Exchange, which is due to complete next month in the Chinese city, and a masterplan for a new urban development south of Bordeaux, France – see all architecture by OMA. 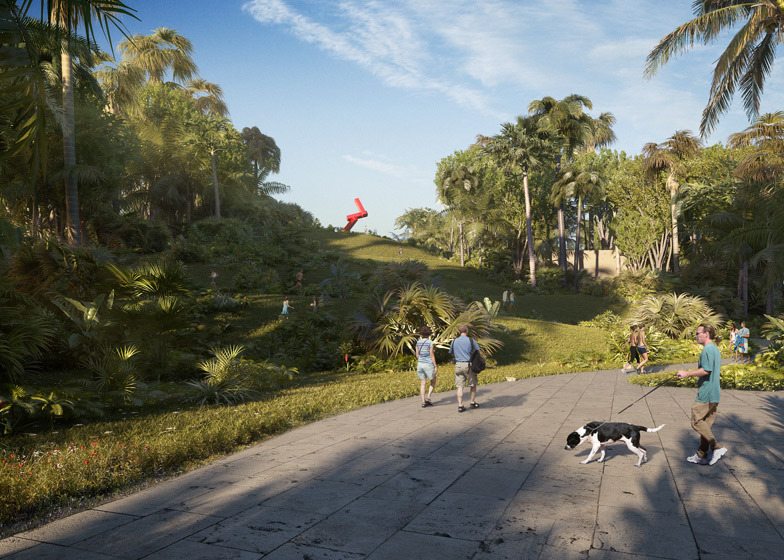 Rival shortlisted firm BIG has also unveiled plans for two twisted apartment blocks in Coconut Grove, Miami, while architect John Pawson recently designed 26 luxury apartments for Miami Beach – see all projects in Miami.